Pros: Much more than I expected from a low cost pharmacy management software. Does everything a small to medium size pharmacy would need. 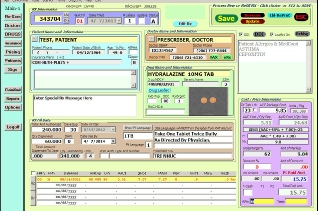 Record Keeping, Labels, Claim Processing, Drug Interaction Checking, eScripts and much more. Best value for the money available! Cons: Support is good but could be better. Does not yet have integration with accounting software. Needs to add signature capture. Overall: If you are looking for an entry level system this is the one to buy. Easy to use, esy to maintain. Low cost.